The Worksman Tri-Cart is a Delivery Pushcart ideal for urban businesses that need an effective way to make product deliveries. 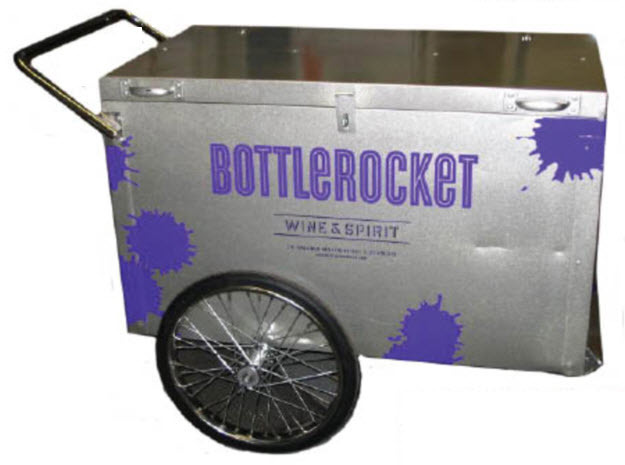 Grocers, Restaurants, Office Suppliers, Small Package Delivery Services, Fruit Stores, Liquor Stores and other businesses seeking an efficient Delivery System should look at this great cart. This sturdy steel pushcart offers a simple and effective method for delivery services. 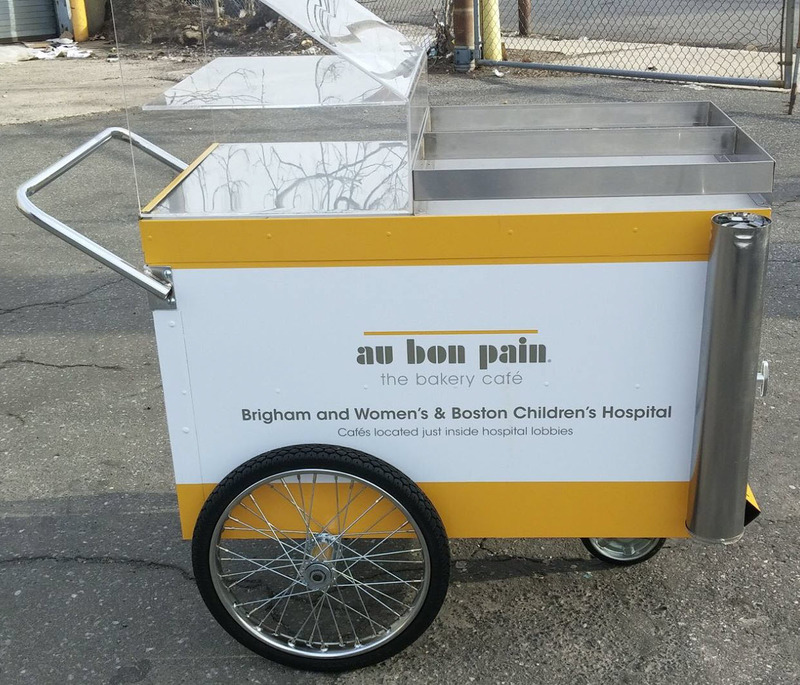 Besides the functionality of this delivery cart, many businesses view this as a great advertising tool – a “virtual billboard on wheels ” Great for Sampling and Marketing programs. You can add attractive and effective graphics to help promote your business. Side wheels are classic Worksman WTC 20″ Clincher wheels with Nev-r-Fail Solid Rubber tires. The Front 8″ caster swivel has a parking lock.